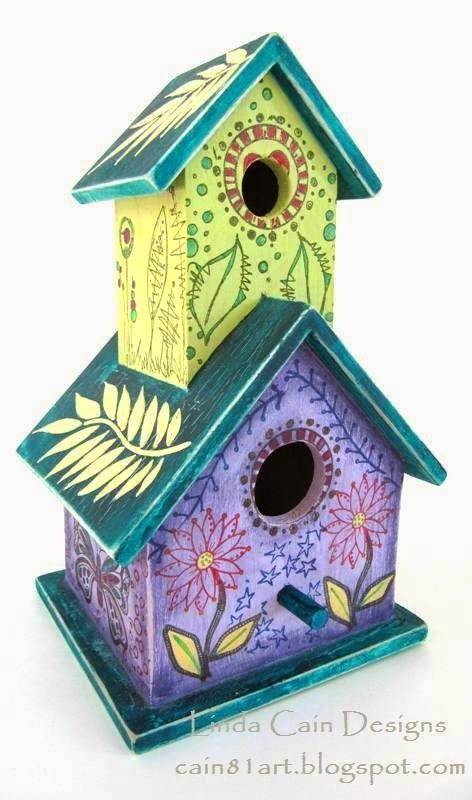 Want to see how and what I used to make this little creation for the Birds??? A step-out and tips are over there to help you design one of your very own. And don't forget to enter to win with your own creation over there!!! Check it out people. HERE. 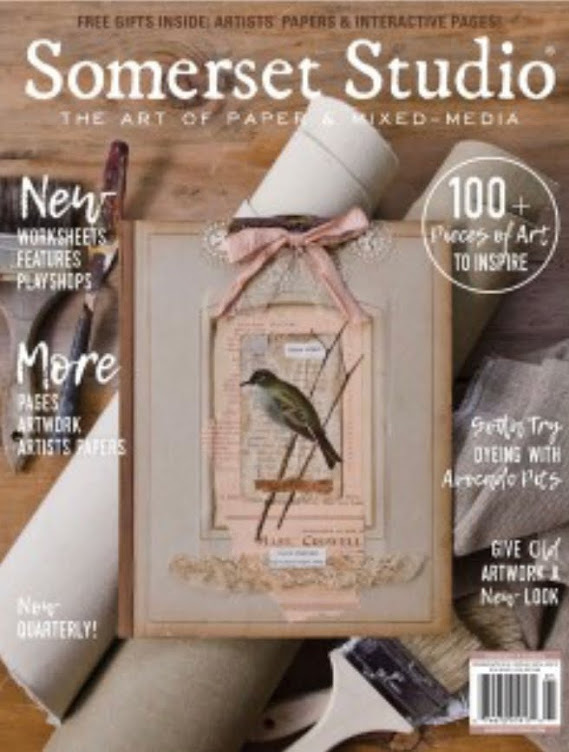 I saw a beautiful Journal cover on the Stampington blog. It was gorgeous! I decided to give the idea a bit of my own twist. I tried my hand at this concept on a small journal layout first using black gesso and then white gesso in the middle section. When dry I added various colors of paint. First try with gelatos proved not so good...I wiped it all off. Second shot was watercolor crayons...and 3rd was water soluble oil pastels...they all were too light and watered out for me. Last I tried Claudine Hellmuth's acrylic Studio paints and liked the outcome better, and I added some Fresco translucents over that. It is MUCH brighter than the original artist's, but it's alright. The White Gelly Roll pen whites beautifully on the black gesso...just like a chalkboard. The "Blue" looks almost black in the jar, but is extremely bright on the White gesso, and the Yellow wasn't bright enough for me. But.......alas, this is somewhat how I remember sunsets on my Grandparents farm in the middle of God-forsaken Nebraska during my childhood. My Mother's people were Homesteaders from Sweden and received a parcel of land from the government for free if they stayed, build a home, and farmed the land. One uncle collected all sorts of prairie barbed wire that I'm reminded of with the white pen markings on the right. Life was very hard in the middle of Nebraska. They saw the Dust Storms and the Depression, crops decimated by hail and insects. But there was the homemade pies, sweet green tea, corn on the cob, and tomatoes with sugar to remember, too. So this isn't a masterpiece by any means, but the stamps look exactly as I remember the farmhouse, the trees and the windmill on Mockingbird Hill. Use my code iecain81 at Inspiration Emporium for 10% off your order using the links below. I LOVE all things Finnabair. 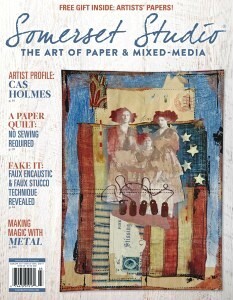 Having said that, I decided to do another project using her Mechanicals, Stamps, and Papers. I started with a piece of 3 1/2 x 5 3/4 inch black matboard. I glued the Sunrise-Sunset paper on and trimmed. Then I added a bit of color with Distress Inks. I had already cut and sprayed these really cool Love Gears by Prima a few days ago, hoping for some time to play with them on a project. They're cut from dark brown paper and sprayed with several colors of Perfect Pearls Mists. They turned out really cool, IMHO! 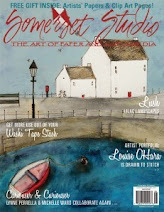 Then I took 4 different colors of Archival Inks and applied the colors to different sections of the background stamp. The result is a new layer of several colors....it's all about the layers, people! Add the Prima Engraver Linen Tape across the bottom as a base. The Rose from the talented Finnabair is beautiful in and of itself, but I added Teal Zircon and Boysenberry Silks Glaze. The center is a silver 6 sided brad. This detail shot shows the stamping with Orange Blossom and Jet Black Archival Inks using the Sunrise Sunset stamp collection. I added several Junkyard Findings and the extra Hearts that get punched out using the Love Gears Die. The center of the flower needed more color, so I changed it out and also added some waxed linen tread to the wooden button. 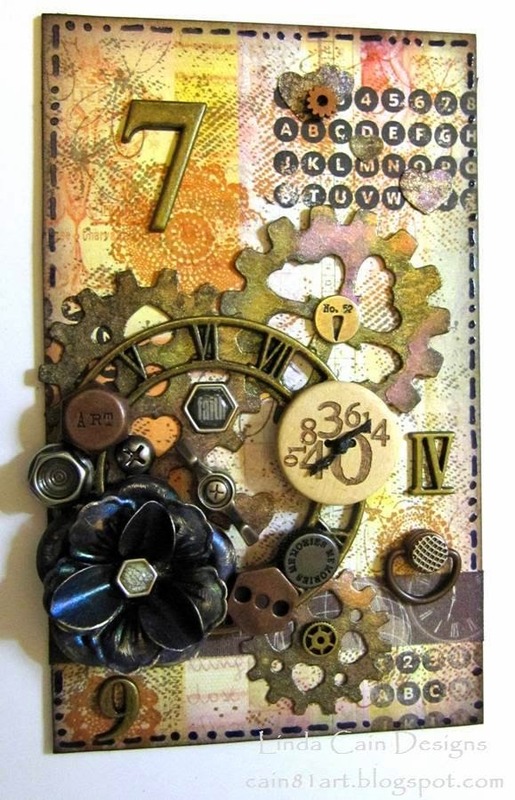 I absolutely LOVE all the metal embellishments that are glued around the Vintage Clock Face. Add a few Numerals to fill in the spots. The pen marks are made with a Royal Blue Gelly Roll Glaze pen...I know it looks black, but its really a very dark blue. Check out the links below. Most products can be found at Inspiration Emporium. Use my code iecain81 and get 10% off your order...still $5 shipping to USA! Paper - Sunrise Sunset - 6" x 6" Paper Pad 48 sheets. Also used - Gelly Roll Glaze Pen-Royal Blue, Silks Acrylic Glaze, Prima-Engraver Linen Tape and Brads, a Wooden Button, and Small Gears. It's time for another Tag! Gotta love all the layers and colors here. So let's get started! This is a #10 manila tag that I swiped with several colors of Distress Stains and just a touch of Tarnished Brass. Then I tore 2 triangular pieces of Tissue Paper and glued them over the upper left and lower right corners. The lower corner really became much more muted over the Seedless Preserves as did the upper left over the Peacock Feather. I wanted the BRIGHTNESS to remain in the center swath of color. Here you see the blotches of the metallic Tarnished Brass when shot at an angle. You also see the next layers of stencils...the Sepia Ink on the Stripes and the Picket Fence paint on the Eye Chart and Measured. I love the gorgeous Script stamp from Typography and the big, bold numbers from Numeric stamp sets. Just a hint of the Picked Raspberry here on the hand and Ink Bottle. The Scribble is stamped with Red Geranium. You can also see the Tissue Paper torn edge here and the touch of Tarnished Brass Distress Stain. Your stenciling doesn't have to make a lot of sense or be extremely detailed, it just helps to break up the color here with the white paint. I added the little Heart Charm with some black Paper String and used Chit Chat words on black chip board for the sentiment. More stamping with the Stars around the edges and 3 Pen Nibs painted with Broken China and Tarnished Brass Distress Paint. The Monocle has a Swivel Clasp, a vintage ribbon, and vintage picture from a sheet of Collage paper. 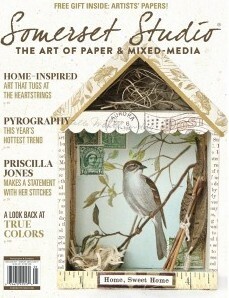 You can also see the Alphabet stamp here using Sepia Ink under the Monocle contrasting with the Tissue Paper drawings. I like the title here as Bill and I have been traveling a bit lately and really enjoy taking in the vistas we've been lucky to see together. 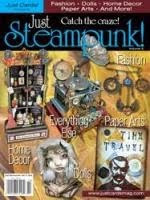 Most of the products can be found at Inspiration Emporium by following the links below. Don't forget to use my Code iecain81 for 10% off your order!!! Hi everyone! Time for a little project with a little step-out. I think you might just love this. 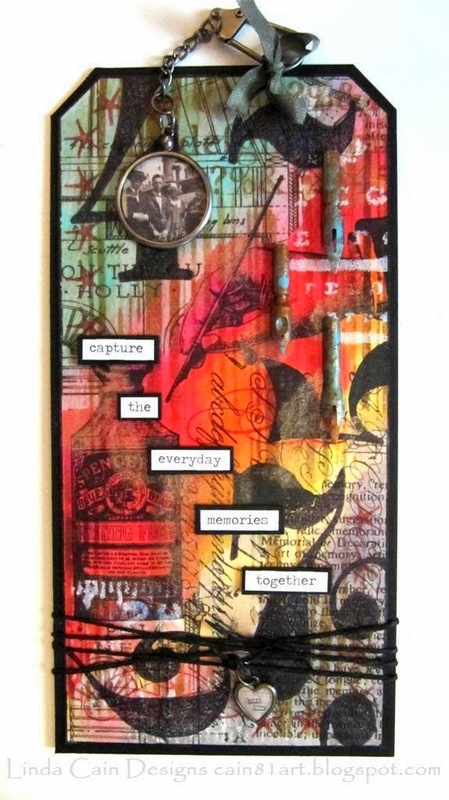 I started with Manila cardstock and the Matchbox Die from Tim Holtz. It's so stinkin' cute, I can't believe it! Next I used Distress Paints and swiped them in a random pattern starting with the Mustard Seed in the middle and working my way out. Don't worry if there are some spots that don't get covered, I used Broken China Distress Ink to fill in later. Then spritz with water before it dries to let them blend a bit. I dried the paint with a heat tool and added Picket Fence Distress Paint with the Bubbles stencil. Don't cover the whole area, just spots here and there. The last layer is all stamped with Jet Black Archival Ink and the French Flight Flamelit stamp set. Make sure if you're using a script stamp to have your stamping going in the right direction....take your time and figure it out. Here you can see the Hand is upside down in this picture, but when you turn the "slider" section right side up to slide it into the cover, it becomes right side "up". I love how the Broken China and Seedless Preserves blend here!!! The bit of Mustard Seed with the Barn Door and Festive Berries just makes me smile. Add a piece of double-sided tape to the top piece or just glue it. Fold up the drawer section according to the easy directions and add a piece of decorative paper inside. I found the Bohemian Bazaar - Opulent Sunset matched perfectly with the painted box. 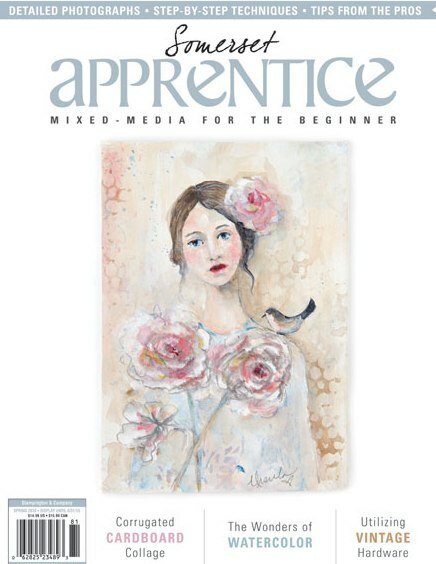 It's a beautiful collection from Graphic45. 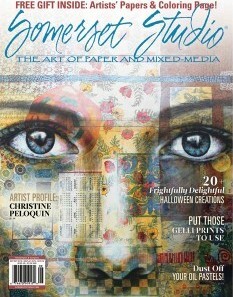 I also used my blending tool to add Broken China and Seedless Preserves Distress Ink to the inside of the cover. 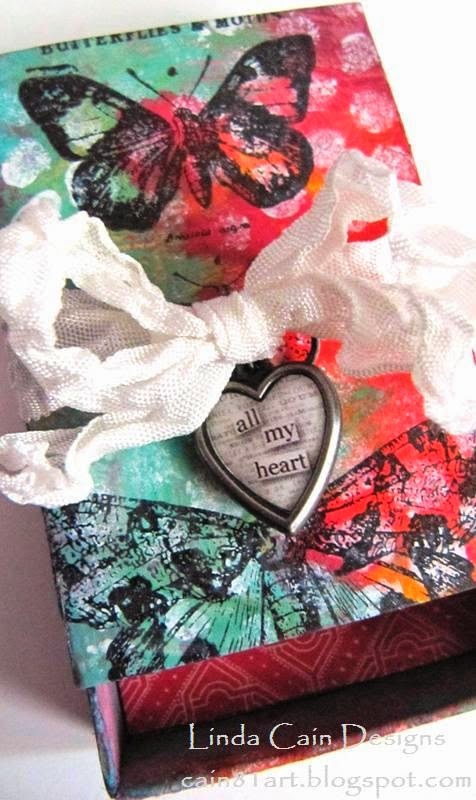 The "all my heart" charm was added to some Crinkle Ribbon with a jump ring and tied in a bow around the box. You could give this in place of a card with a gift of money in it, or a little jewelry treasure for that special person. It's so much more fun than a card, and it's a keepsake they'll want to save. Check out the links below and use my Code iecain81 for 10% off your purchase at Inspiration Emporium. Retro Cafe Art Gallery Products. This project was so much fun, and the background is full of layers of color! 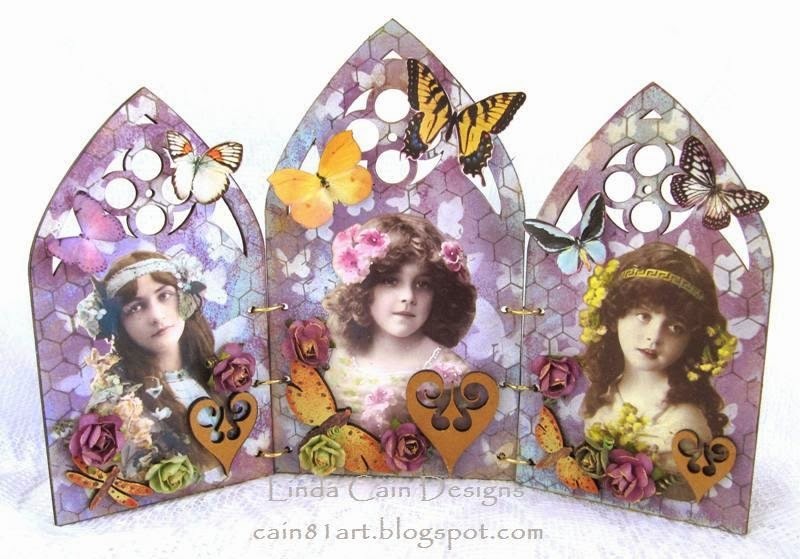 I started with a Large Lace Quatrefoil Gothic Arch Triptych and 4 colors of acrylic paint...I used Fresco Paints, Lilac, Pansy, Very Berry, and Mermaid. I sponged the colors on in a real random pattern, and blended here and there. Then I used white acrylic paint and sponged on the Butterflies with a stencil. I added some Chickenwire stamping with Smoky Gray archival ink. The Girls are fussy cut and glued in place. The Hearts are painted with Tarnished Brass Distress Paint. They're the inserts from the Gothic Scroll Window Cut-Outs....never throw away a cool pieces of anything!!! The Swallowtail Butterfly is actually a 7Gypsies Rubon that I applied to a piece of white paper and cut out....I was short 1 butterfly for the project, and this one worked perfectly! The other Butterflies are cut from Collage Sheets. I used Haystack and Autumn Fire Fresco paint on the Garden Insects with a bit of Squid for details. Inka Gold is brushed over the flowers and edges for a bit of glitz. You can see a few bits of it on the girls faces as it shows up as specks. This little gal had no color in her photo, so I used a bit of Zesty Zing to add the color to her flowers and headband. Since it's a translucent paint, you don't loose the details...pretty cool! I also used touches of Distress Inks on the butterflies and a bit of paint for added color. The flowers are small Lavender Roses and Prima Mini Roses. When you're finished decorating the 3 pieces, you just add the golden rings that come in the kit, and you're done! Click on the links to Retro Cafe Art Gallery and order up some products to play with!! !